1st of December is the official beginning of the very special season. Season when we start analysing 2017 – what we’ve accomplished, what we’ve experiences and what we are planning to do in 2018. Last year I made a resolution to experiment more with my make-up and try more products from different brands to find my ultimate favourites. Until 2017, my make-up bag consisted of the same products, I was using foundation that I thought is perfect for me, in reality, it was too drying for my skin and the only reason I kept using it – I got used to it and somehow emotionally attached, I only realised that it’s not perfect for me when I started trying and testing more and more different foundations from other brands. And I think, when it comes to make-up, testing & trying is always a key to find what actually works best for you and your skin. This year I’ve been introduced to the number of new and old make-up brands and I’ve fallen in love with some of the products that completely changed my make up routine and became my ultimate make up heroes of the year. Fenty Beauty is officially the best newcomer of 2017. This is another proof that everything Rihanna touches turns to gold. Fenty Beauty is not just about great marketing and celebrity ambassadorship it’s all about great quality and the products that actually help you to look amazing. 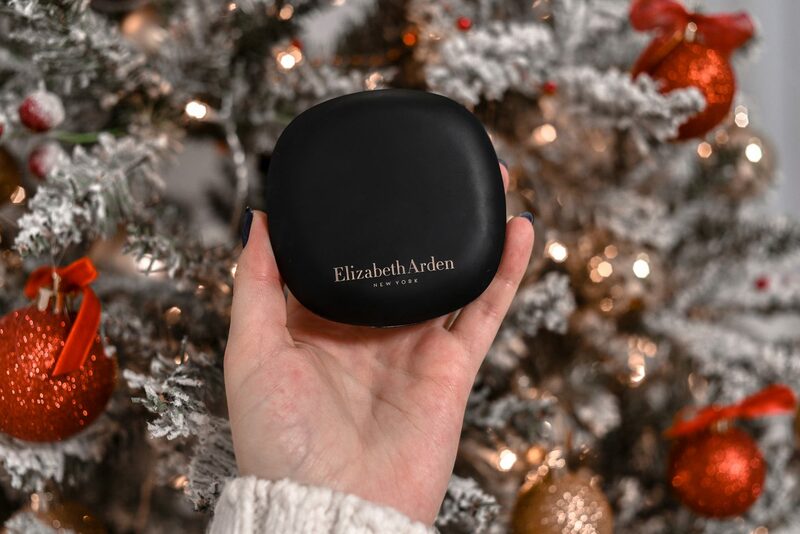 I’ve been looking for a great Blotting Powder for ages, so when I saw that Fenty Beauty created one, I knew I had to try it out. It instantly makes your skin photo-ready. It perfectly absorbs shine and diffuses the look of pores. I always carry it in my bag and touch up my make up with it just a couple of times during the day. Truly a hero for everyone who just loves a matte finish. Another great product by Fenty Beauty is their already cult lip gloss. There is nothing groundbreaking about this gloss, it’s just a very good product that ticks all of the requirements when it comes to the lip luminiser. It’s universal, the colour is very natural and complimenting, it does make lips look puffed and beautiful. It smells heavenly, so good that you want to eat the whole bottle. It works amazingly well when applied both on bare lips or on top of other lipsticks. What else a girl needs? 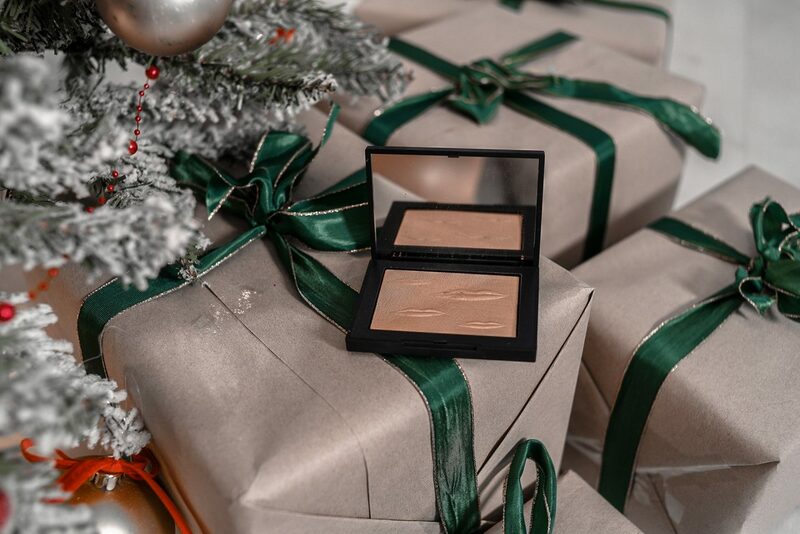 This NARS highlighter is amazing as a Christmas present or as a treat for yourself. It’s been launched around a month ago as a part of a limited edition Man Ray holiday collection with the number of other great products. But for me, it became a hero because apart from the prettiest packaging and design it is an absolutely amazing highlighter. It comes in a universally flattering medium gold tone with warm, orange undertones and a luminous sheen. The consistency is smooth, moderately dense, and has no powderiness at all. It has a great pigmentation that is easy to sheer out or build up to truly full coverage if desired. This highlighter wears well for more than 8 hours for me, so I really recommend you to get it while it’s still in stock. Another great launch of the year: Powermatte Pigments by NARS. Liquid matte lipstick is not news, but NARS somehow levelled up this game. If you saw me wearing red lipstick in the past couple of months, chances are it was this ‘Don’t Stop’ pigment by NARS. 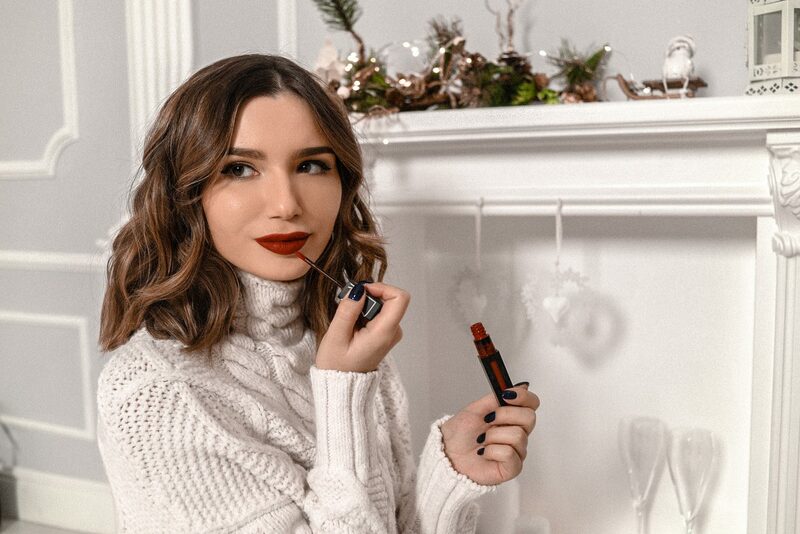 It comes in the perfect dark red shade with a great formula, that is not over-drying, though it’s more watery than most of the liquid lipsticks you’ve tried before, so you should be careful when you are applying it for the first time. This lipstick is absolutely weightless and the most comfortable matte formula I’ve came by. It does make me want to throw out most of the red lipsticks I own – it’s that good. Laura Mercier is definitely the brand that I only have fully discovered and explored in 2017. I have tried the numerous amount of their products and found my own heroes amongst them. One of these heroes is this Candleglow Perfecting Powder. Even though, I’m not a huge fan of their infamous Candleglow foundation, I fell in love with the powder from the same range. 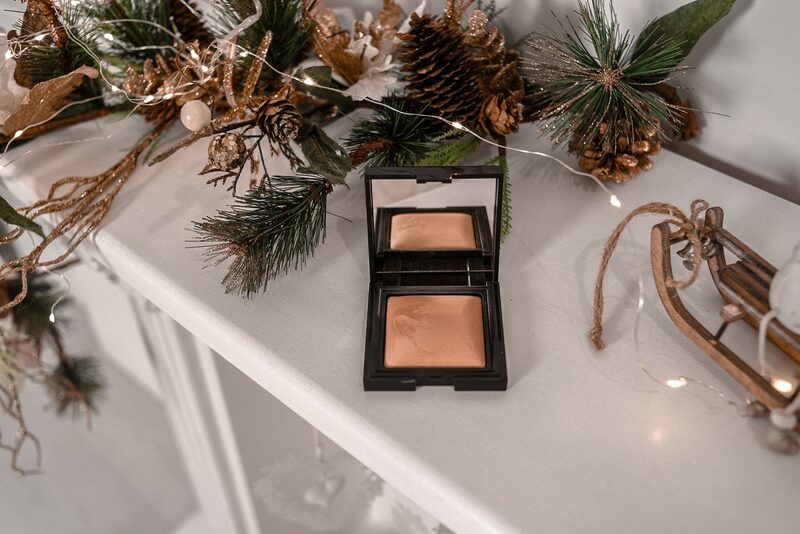 The powder adds the sheerest hint of complexion-brightening colour and leaves skin with a flattering, candlelit glow. Sometimes I use it as a very tender bronzer and sometimes I apply to my whole face and neck for the ‘Californian’ glow. You know that I have a very special and complicated relationship with the liquid eyeliners. I’m very picky when it comes to my liner and it’s really hard to meet all my expectations. However, this Burberry Cat Eye Liner has ticked off all of the boxes and became my love from the first try. 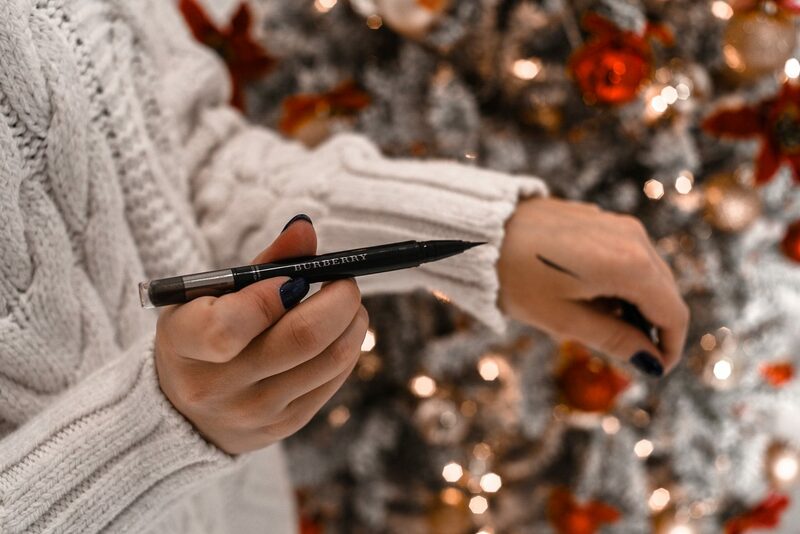 This dual-ended liner features a calligraphy-inspired end to perfect flicks and a silky shadow crayon to add shape and definition (even though I never use another end). It’s super easy to draw lines with it, the shape, weight and formula are just perfection. It’s quite pricey when you buy it for full price, so I always make sure to stock it up while I’m in Duty Free, because you can actually get it for £19 there. The formula is very light (you just don’t feel it on your lids at all), non-sticky and it doesn’t leave any marks, plus it dries super quickly. If you are looking for an eyeliner and currently is not satisfied with any of them, please, try this one, you won’t be disappointed! This foundation is made for the good-skin days, when you don’t need that extra coverage, but want a beautiful even tone and complexion. Luckily, I get more and more days like this and this is why I think Elizabeth Arden Flawless Finish foundation is a hero for me. Combining the benefits of a powder and a cream in one bouncy gel formula, it blends effortlessly onto skin to deliver buildable coverage (you can build it up until proper ‘medium’). What I love about it, is that it’s infused with a blend of antioxidant-rich Caffeine, Ginseng and Peppermint Oil and Hyaluronic Acid that helps to heal your skin and locks in moisture and hydration for a luminous glow. 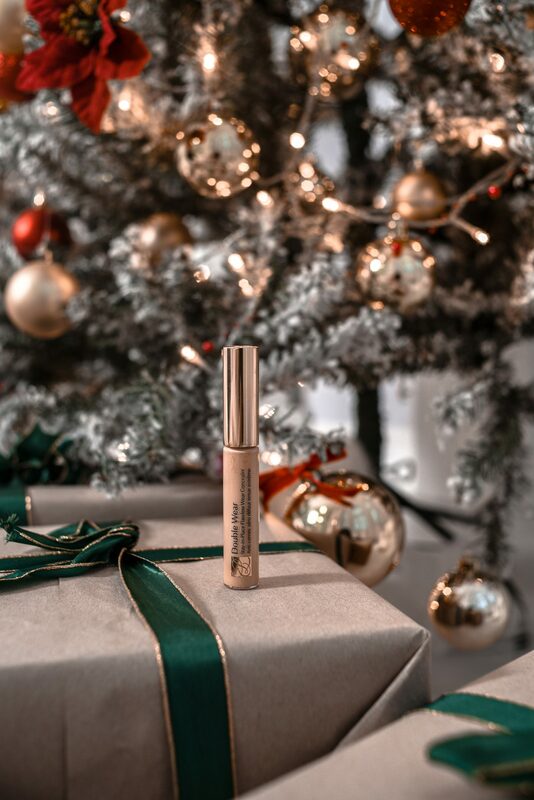 I get asked about the best concealer in my opinion VERY OFTEN, this is why I have decided to include my personal hero to this round-up as well. I, personally, cannot live without Double Wear concealer, it’s a pure photoshop in the tube. There is nothing that battles birthmarks, dark circles and spots better than this little guy. It stays seamless, without creasing. Lightweight creme formula creates the perfected look of flawless skin all day. Infused with minerals and emollients to condition skin and make blending easy. This is truly the best concealer I’ve ever tried and owned, so if you are looking for one – look no further. I hope you enjoyed this little (or not) round-up of my personal make-up heroes of 2017, what are the make up products you have discovered in 2017 and cannot live without anymore? Tell me in the comments below!